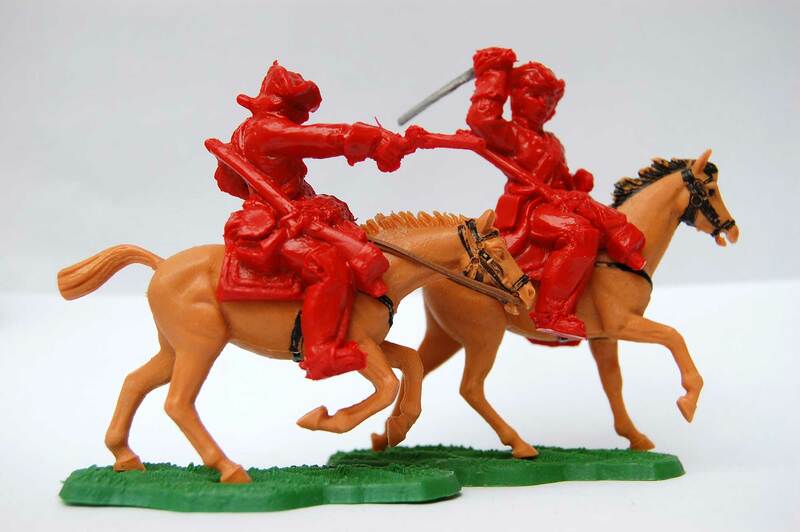 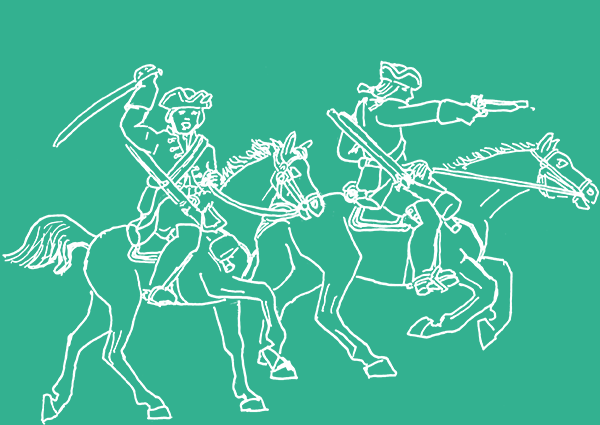 These are designed as British dragoons from the mid-eighteenth century. 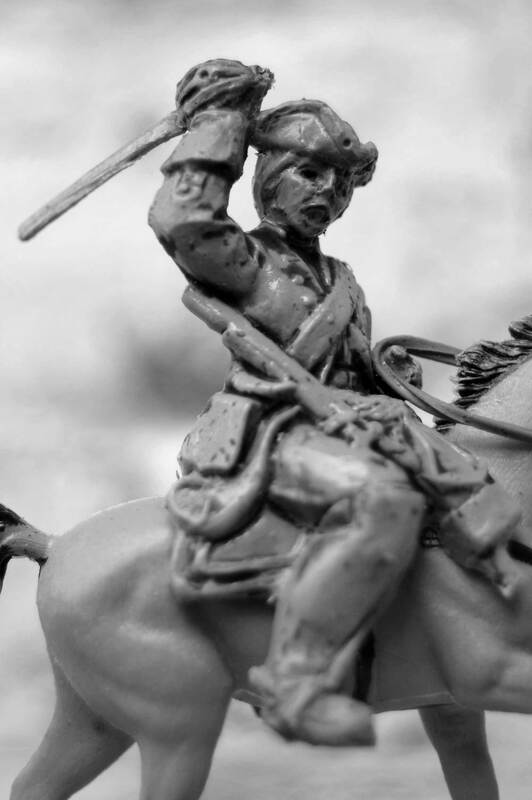 They are therefore suitable as adversaries for the smugglers, but also fit with the Culloden figures, and could be recruited for either side of the American War of Independence. 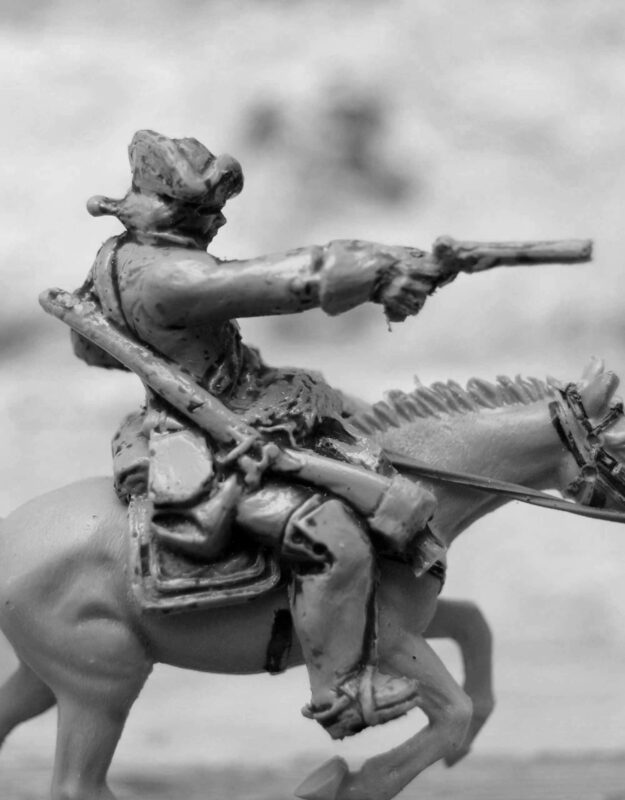 They are mounted on Eyes Right horses.